We are a group of York locals who have planted sustainable wild-flower meadows in the heart of Holgate, in memory of all those who lived and suffered during World War I between 1914-1918. 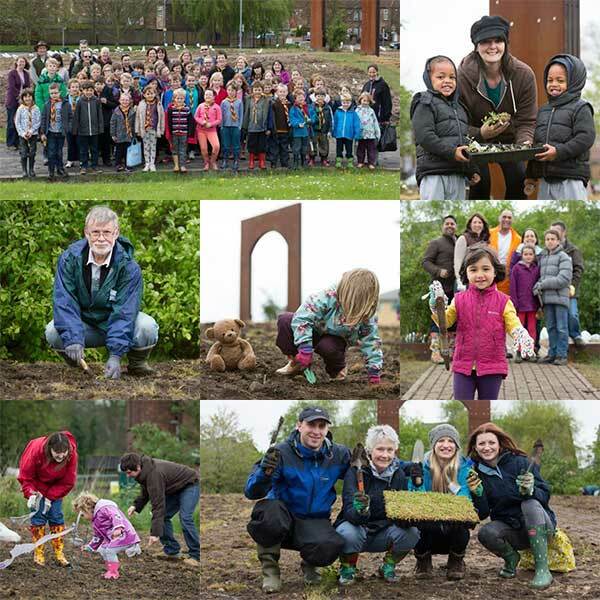 Planting Day was 26 April 2014 and school children, brownies, guides, scouts and many local friends and families came out to sow the seeds and plant the plugs, supported by local businesses who provided tea and cake for the workers. It was a wonderful day! 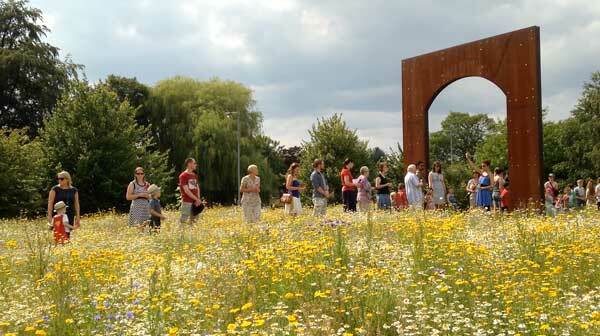 The meadows began to flower in June – in time for the beginning of the First World War’s centenary period. Strewn with wild flowers and Flanders poppies, these meadows will serve as a living commemoration and will remind us that we all have a job to do in preventing war in the future. 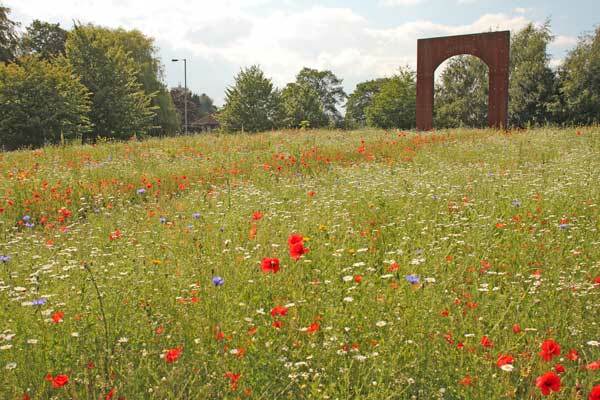 We have the meadows on Poppy Road for a minimum of four years – as long as the duration of the First World War – but are working on securing them as a permanent memorial. We need to continue to raise money in order to maintain them; harvesting every year, and buying seeds and plants to fill any gaps. Commemoration ceremony, 26th July 2014. 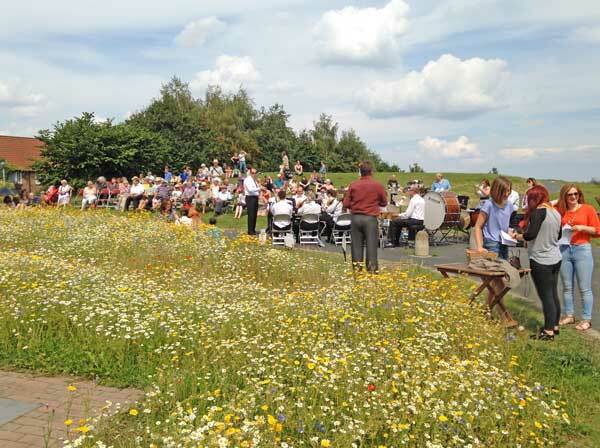 We held a special commemoration ceremony on Saturday 26 July. Over 100 local people came and listened to a reading of the names of those we want to remember, servicemen and civilians, alike: soldiers, factory workers, peace makers, animals. Local poet Gillian Byrom-Smith wrote a special poem for the occasion called [link] The Poppies of the Field, and Peter Byrom-Smith composed a piece of music with the same name. 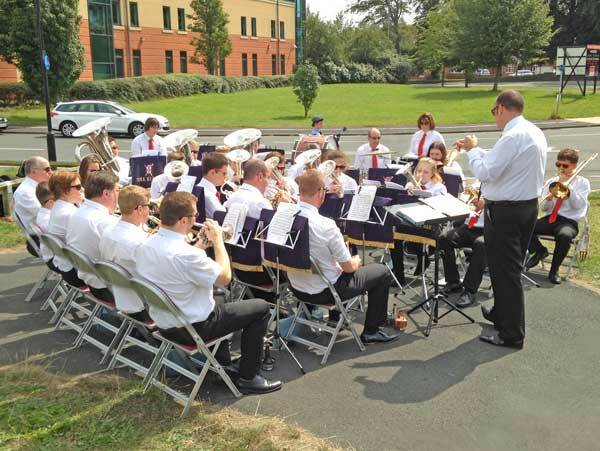 We were delighted that the Railway Institute Concert Band came and played the piece for us. (Click here to listen to a recording). tina@poppyroadpoppyproject.org or you can make a secure online donation here. The Poppy Road Poppy Project is pleased to have the support of York City Council. This entry was posted in Uncategorized by davey. Bookmark the permalink.